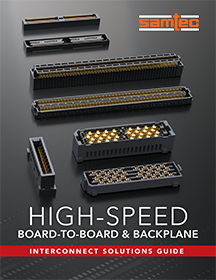 These ultra high density, high speed open-pin-field arrays feature a 0.80 mm pitch grid for up to 50% board space savings. 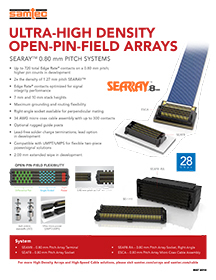 These ultra high density, high speed open-pin-field arrays feature a 0.80 mm pitch grid for up to 50% board space savings compared to .050" pitch SEARAY™ interconnects. 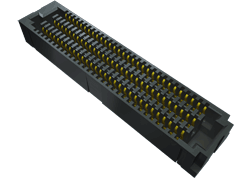 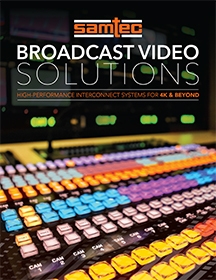 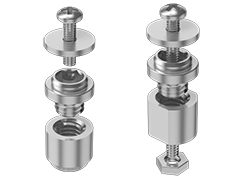 With up to 500 total Edge Rate® contacts optimized for signal integrity, this system allows for maximum grounding and routing flexibility. 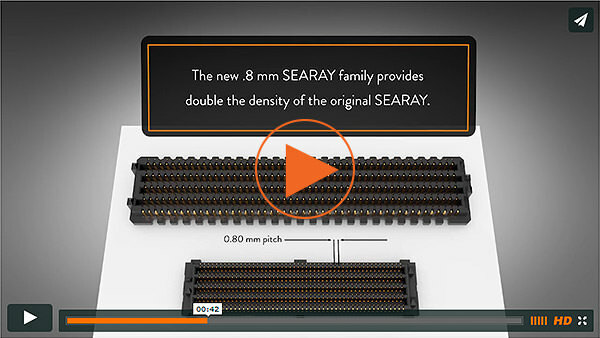 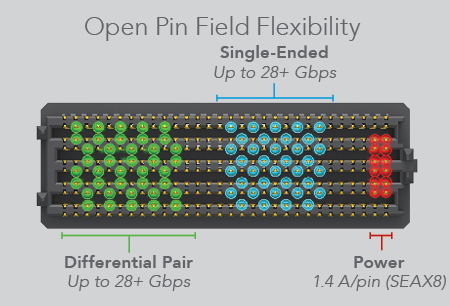 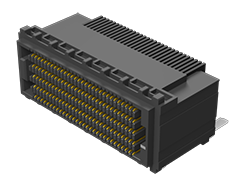 Features include up to 10 rows and 50 contacts per row, choice of 7 mm or 10 mm stack height, and high speed 28+ Gbps performance. 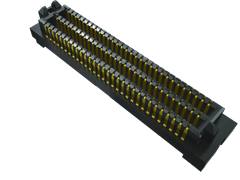 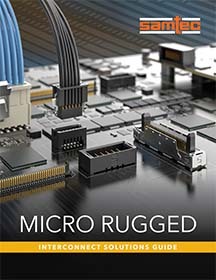 The socket is also available in right angle for micro backplane applications with optional guide posts for blind mating. 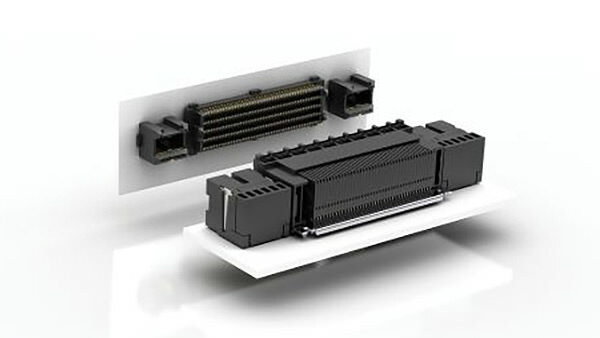 Individual power modules with press fit tails provide a high power option for greater system flexibility.